Linda Vytlacil, Vice President, Retail Analytics, Walmart Stores, Inc.
Quantifying the Housing Recovery: Which MSAs are Experiencing Bubbles? 5:15 PM - 5:25 PM $26 Oil and Hurricane Harvey: What's Next for Houston? Attendees will walk to the reception (15 mins). Exit out of hotel lobby, turn right on Lakeside Ave., left on 9th Street. C. Productivity in the Healthcare Sector: Can We Boost It? Attendees will walk to the Federal Reserve Bank of Cleveland (8 mins). Right on Lakeside, right on Mall, left on Rockwell, right on 6th. Please use the Superior Avenue entrance. Must present current driver’s license or government-issued photo ID at security. Pre-registration required. 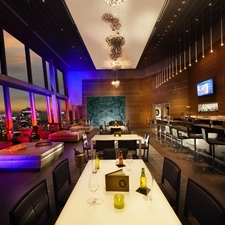 Dinner groups will meet at the conclusion of the FRB Cleveland reception. Look for dinner hosts holding topic signs. Groups will walk together to the restaurants.